Here is the rest of the romantic story from yesterdays post. The male on the right is the one that is working bringing in the materials for the nest. The one on the left is the one who is having the fun. The female in the middle innocently looks on. Oh well! 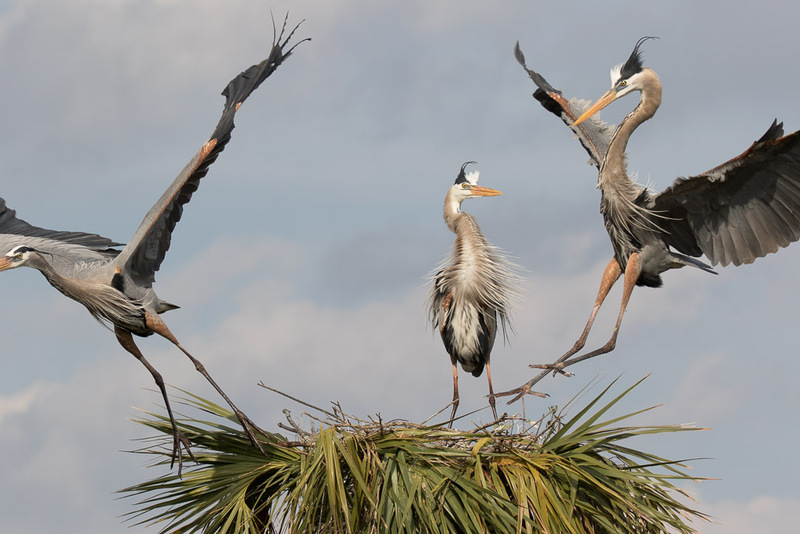 This entry was posted in Birds and tagged Florida, Great Blue Heron, Heron on January 12, 2018 by kgrafphoto.